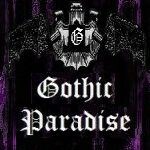 Gothic, Darkwave, Industrial and Synthpop. You will find here some of the very best from these and related sub-genres. Always plenty of good music to keep you moving no matter where you are!